The two were crowned champions on Saturday afternoon at the Nairobi Club walking away with 90,000 and 80,000 shillings respectively in cash prizes. 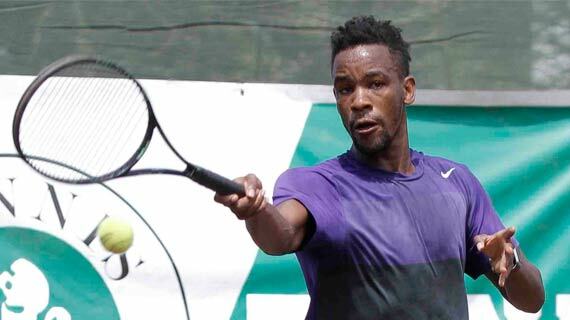 Mugabe beat Kenya's Sheil Kotecha 4-6, 6-1, 6-4 to clinch his 4th title having last won the competition in 2010, 2011 and 2013 before the supremacy of Kenya's Ismael Changawa who won in 2014,2015 and 2016. Changawa was one of the biggest losers at the tournament as he failed to shine this year losing in the semi finals to counterpart Kotecha. The Argentine Coronel who is in Uganda for a job related attachment defeated Gabon's Celestine Avomo 6-3, 4-6, 6-0 to bag her first Kenya Open title. The Changawa siblings who failed to reach the finals had something to smile about as they walked home with the mixed doubles after beating the pair of Mugabe and Coronel. The tournament was sponsored by Britam to a tune of 9 Million shillings.